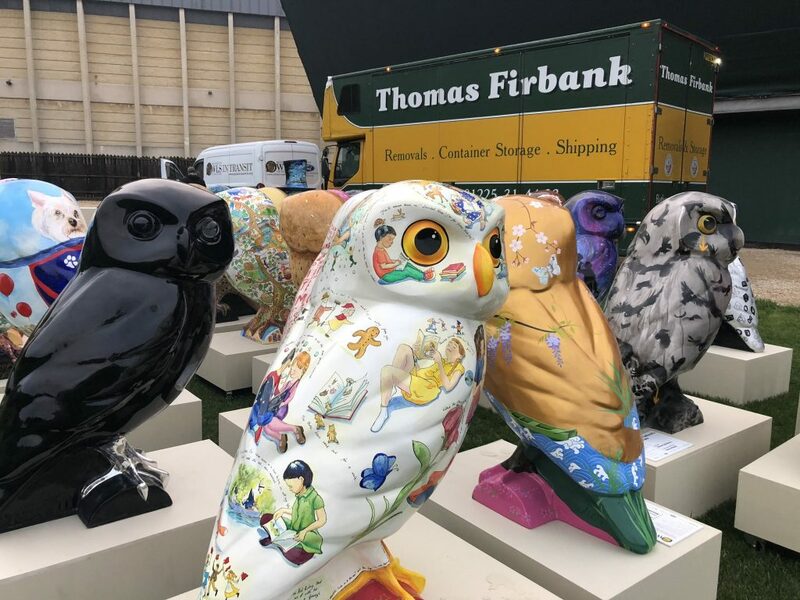 The fabulous Owls of Bath sculptures landed on the Rec on Friday for the Owls Hoot Farewell, the first and last chance for owl fans to see all 82 owls, plus two new owlets, before they fly off to the charity auction on 17th October. 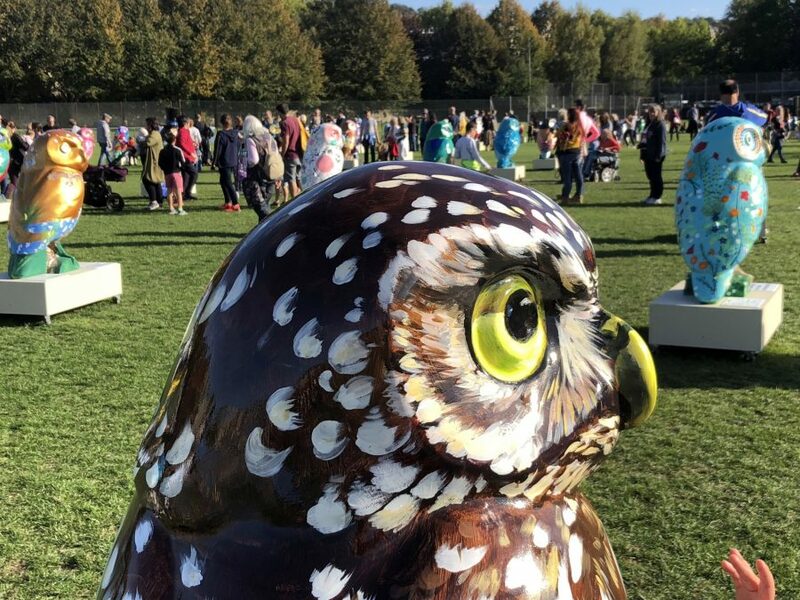 Thousands of people flocked to see the beautifully decorated owl sculptures in their temporary nest by Bath Rugby stadium, where they also met real owls, make owl puppets and mosaic mini-owls with the Roman Baths, get creative with the Hobbycraft Design an Owl competition, play ‘h’owl in one’ with Cumberwell Golf Course, enjoy Owls of Bath artists and sponsors displays, food and drink and more! 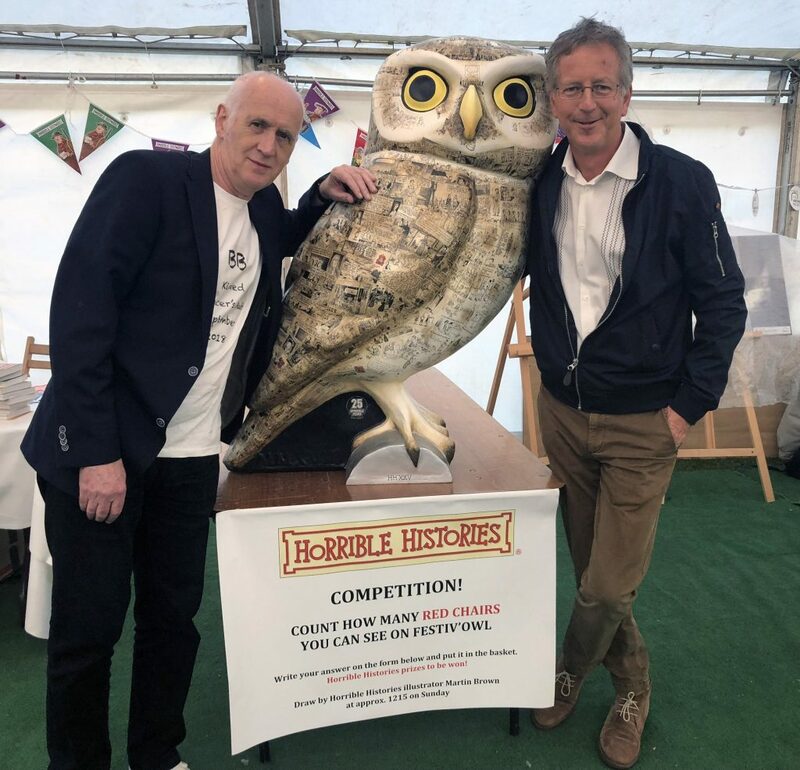 On Sunday, Horrible Histories illustrator Martin Brown, who decorated Festiv’Owl for the Bath Children’s Literature Festival and sponsor Emery, who will be drawing the winner of the ‘How many red chairs on Festiv’owl’ competition. Winners will receive a fantastic selection of Horrible Histories prizes. 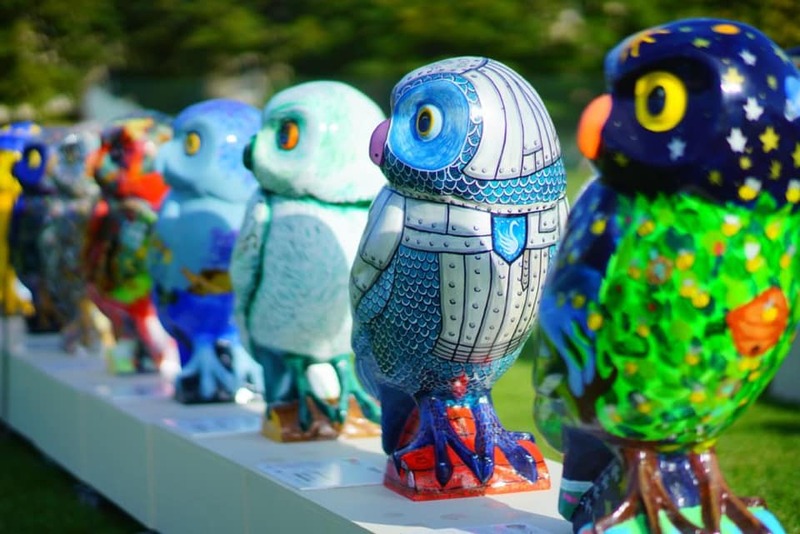 Olympic gold medallist Amy Williams MBE will also swoop into the Rec to be reunited with Mr Owlet, which she painted in a Winter Olympics theme specially for the auction. Amy will be drawing the Big Hoot app prize. 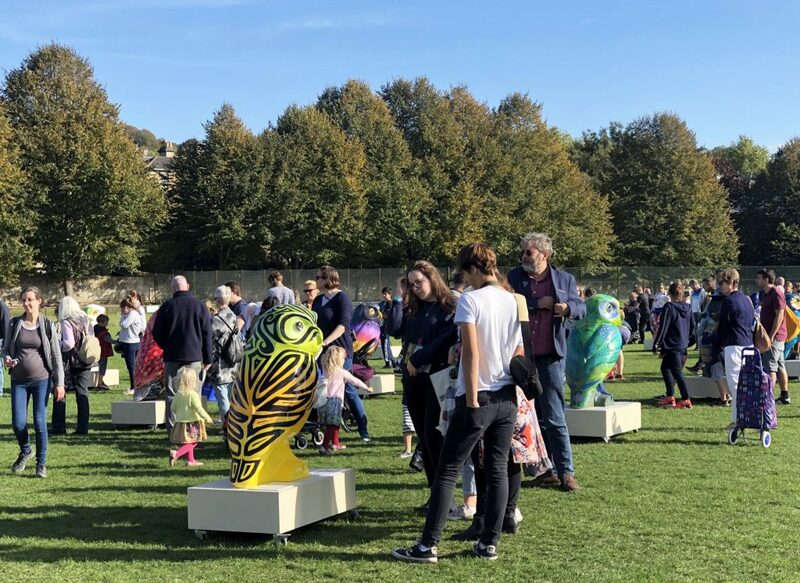 The lucky winner will receive 2-nights in the Abbey Hotel in the heart of Bath; Exclusive Prosecco Package for Two in the thermal Cross Bath; a Taste of Bath hamper, a goodie bag of Owls of Bath merchandise, including colouring books, posters and mugs; a night’s dinner B&B at the 16th century Swan Hotel in nearby historic Bradford on Avon and a round of golf for four at the award-winningCumberwell Park – home to real Little Owls!  Come along – it’ll be a hoot! 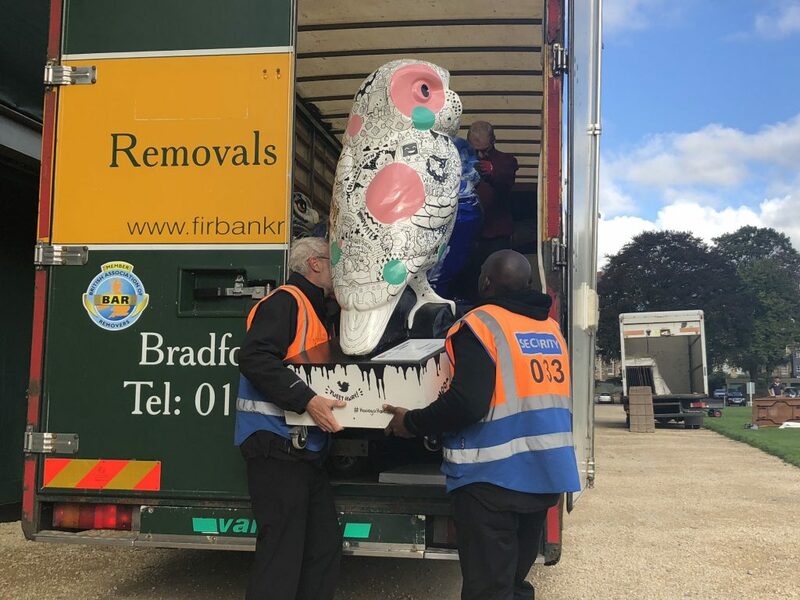 The Owls arrive at the Rec for the Hoot Farewell weekend – kindly transported by Thomas Firbank Removals – official movers of the flock!